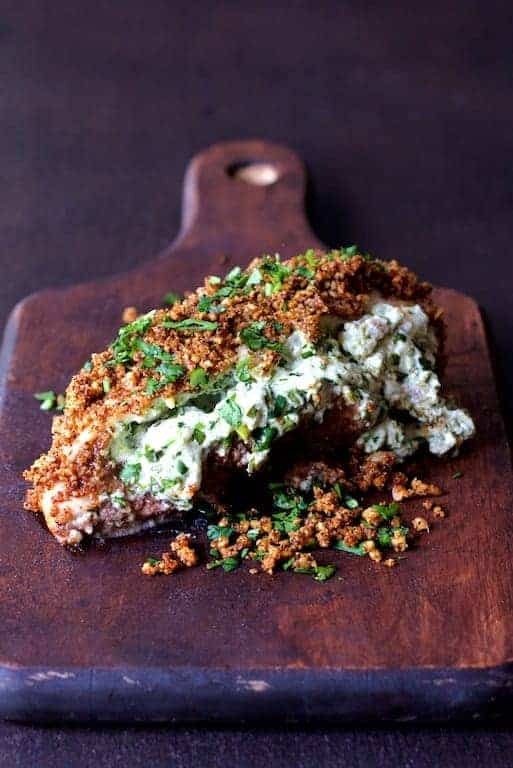 Green Chile Goat Cheese Stuffed Chicken Breasts with Spicy Cornmeal Pecan Crust is spicy, crunchy, cheesy and easy! It’s a great make-ahead dish for any night of the week and dressy enough for guests. My wonderful mom-in-law has been here on her annual month-long visit that she does every spring. And yes, I did say she is wonderful. She is actually a mother-in-law you WANT around for an extended period of time. Because my mother passed away, she’s more important to me than ever. 15 things run through my head and I want to start rattling things off. She loves to help us out but no…. I just can’t; she’s our guest and I don’t want to give her a “job” to do. The other day she just “happened” to find pumpkin puree in our pantry and cream cheese in the refrigerator. We came home to pumpkin bars with cream cheese frosting! Be still my heart! So what if pumpkin season has passed. They were AWESOME. Anyway, it’s been a bit busy around here so this is going to be a brief post about a crazy delicious dish! 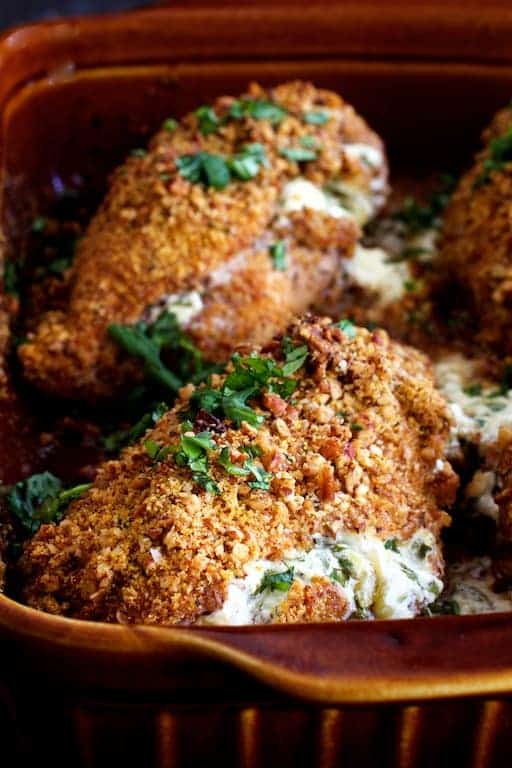 This Green Chile Goat Cheese Stuffed Chicken Breasts with Spicy Cornmeal Pecan Crust will become one of your go-to recipes for a great weeknight dinner or when you need a great dish for guests. That’s it! Cheesy. Spicy. Crunchy. Easy! Green Chile Goat Cheese Stuffed Chicken Breasts with Spicy Cornmeal Pecan Crust is crunchy, spicy cheesy and easy! Preheat oven to 375 degrees. Lightly brush a baking dish with oil. Set aside. Cut horizontally through the center of each chicken breast, creating a pocket, being careful not to cut all the way through at any point. Set aside. 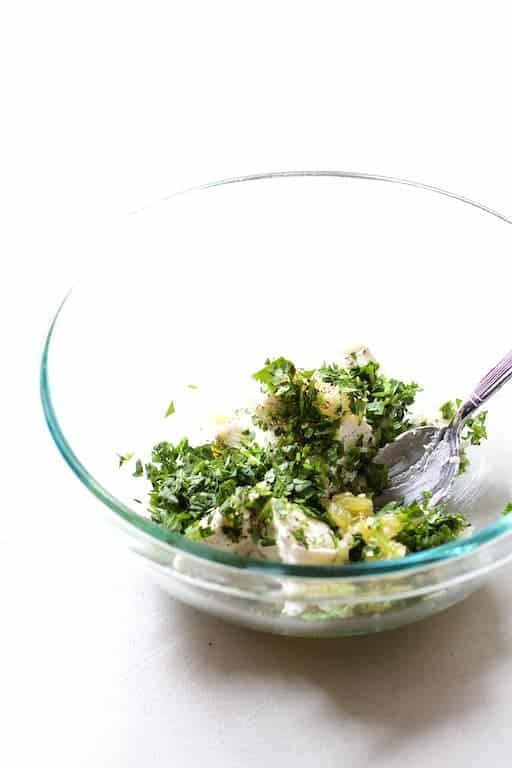 Combine goat cheese, diced green chiles, garlic, cilantro and salt and black pepper to taste in a small bowl. 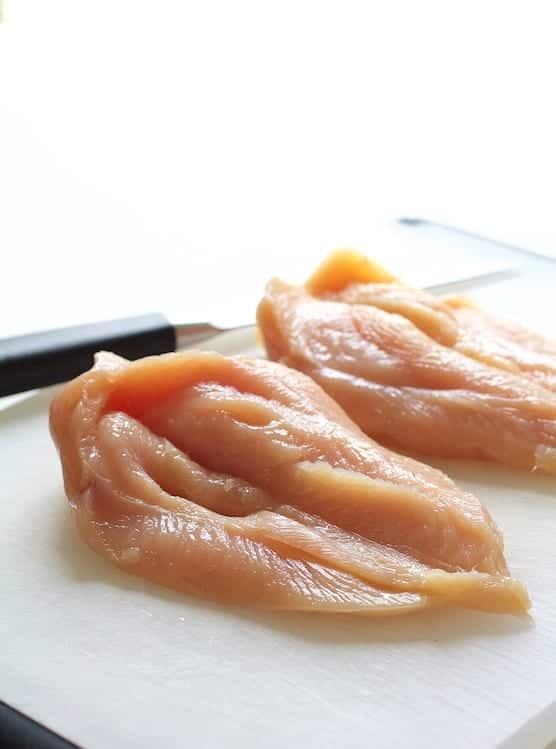 Place equal amounts of the filling on each chicken breast, fold over and secure with toothpicks. 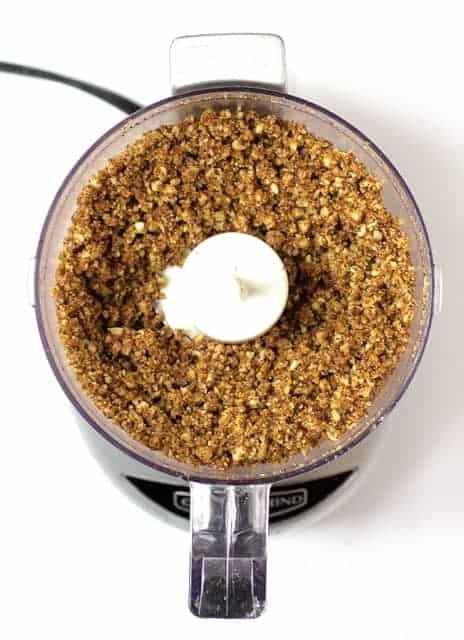 Combine ground pecans, cornmeal, chili powder, red pepper and salt and black pepper, to taste in a bowl or shallow dish such as a pie plate. Dredge the chicken breasts in the pecan mixture and place in the baking dish. Spray each chicken breast half with cooking spray. Bake 25-30 minutes or until cooked through to 165 degrees. Remove toothpicks prior to serving. Garnish with additional chopped fresh cilantro. MAKE AHEAD: Prepare to the point of baking and refrigerate up to 24 hours. Bake per directions. Hi, Sue, Thanks so much for your question. That is so the pecan and cornmeal mixture stays moist while baking. If you don’t care for conventional nonstick cooking sprays, there are more healthful versions available made from grapeseed oil and even coconut oil that don’t have additives. If you have an oil sprayer, that should also work. A spray or a spritz is going to give you lighter more even coverage of the coating. Thanks again and hope you enjoy! Have to admit I overlooked the spraying of the chicken breasts. And do think the coating would have been better. Will try it next time. Thx! I recently saw this recipe and I could hardly wait to try it since Hatch chiles were in season and I was eager to use them in a recipe. Plus, we had just returned from Santa Fe, New Mexico where they are so good and in nearly every dish. I made it for my husband and myself and must say it was just excellent. I found it to be a fairly easy recipe to prepare. I enjoyed hunting for the Hatch Chilis and they roasted easily. 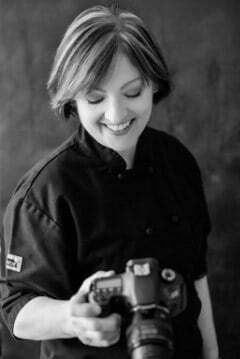 You really have a knack for writing recipes.. As I was cooking, it seemed like every time I got stuck and had a question, I’d look at the instructions and you guided me through it. It was like you were beside me cooking. I especially appreciated how you mentioned the removing of the toothpicks because I almost left them in and that could have been disastrous as they do get hidden in this dish after it cooks. This dish has a most amazing blend of flavors that just come together and delight the palette. We especially loved what the the pecan coating added to the taste of chicken, chilis, garlic and goat cheese. We ate til we were stuffed and enjoyed it so much. And the best part is that afterward, our house smelled heavenly for several hours.. Definitely adding this to my favorite family recipes!! Thank you, Carol ? Just looking at these is making me hungry. 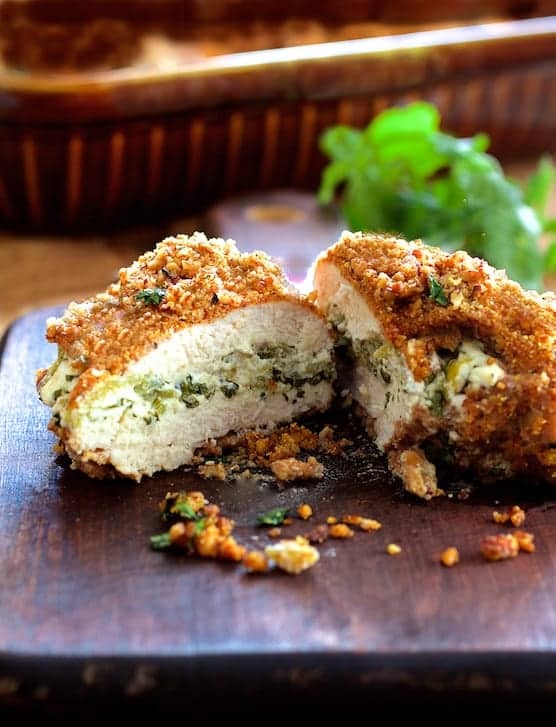 I love chicken stuffed with goat cheese! I haven’t tried using green chiles but I am definitely on board with trying it…it looks fantastic!